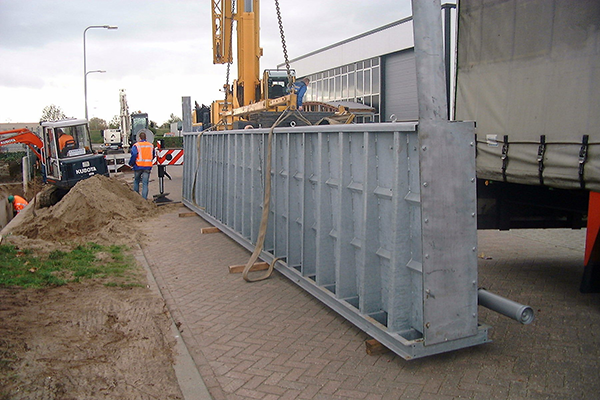 Developed in Holland, the ingenious HYFLO Self Closing Flood Barrier SCFB™ is a unique flood defense system that effectively protects property from floodwaters and requires no manpower whatsoever for effective deployment. 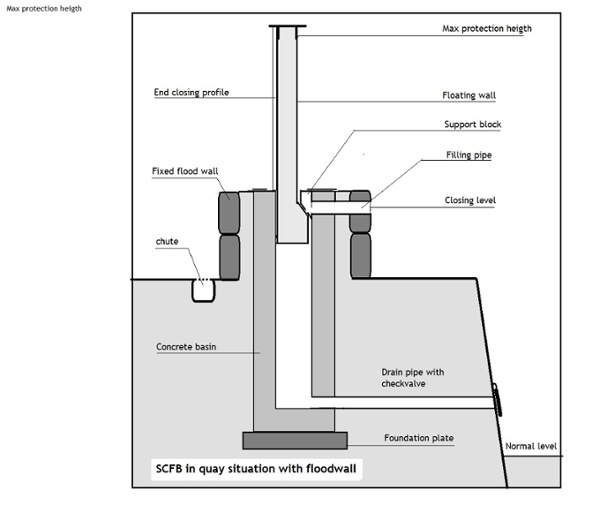 This award-winning system automatically deploys a buoyant floodwall from below grade to provide optimal protection against high water. The SCFB preserves a building’s aesthetics and requires no valuable space. 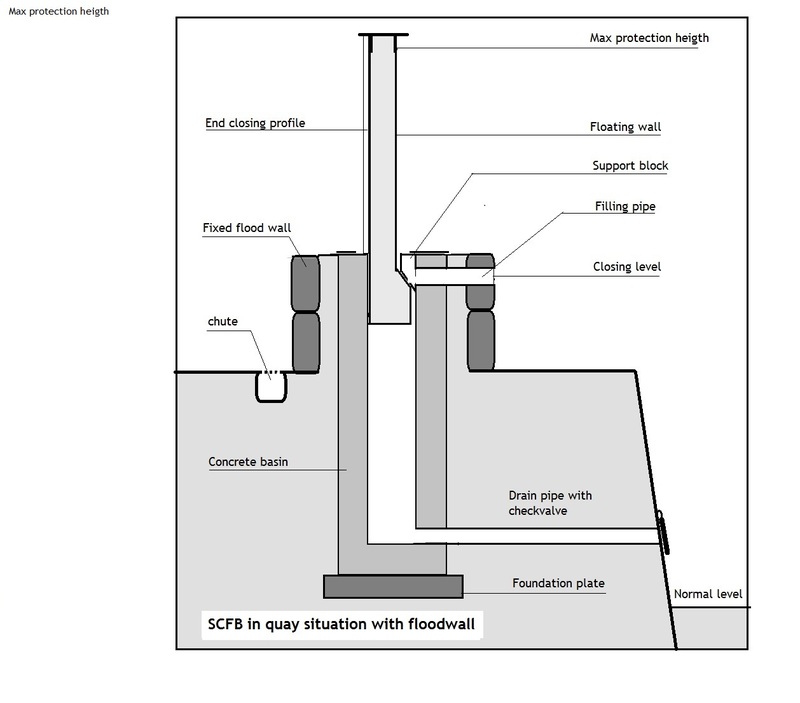 It can be built into a permanent floodwall or levee, as well as any opening in a building or facility. 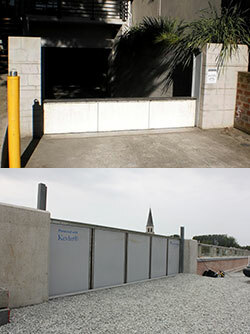 COMPLETE FLOOD PROTECTION - NO NOTICE REQUIRED! 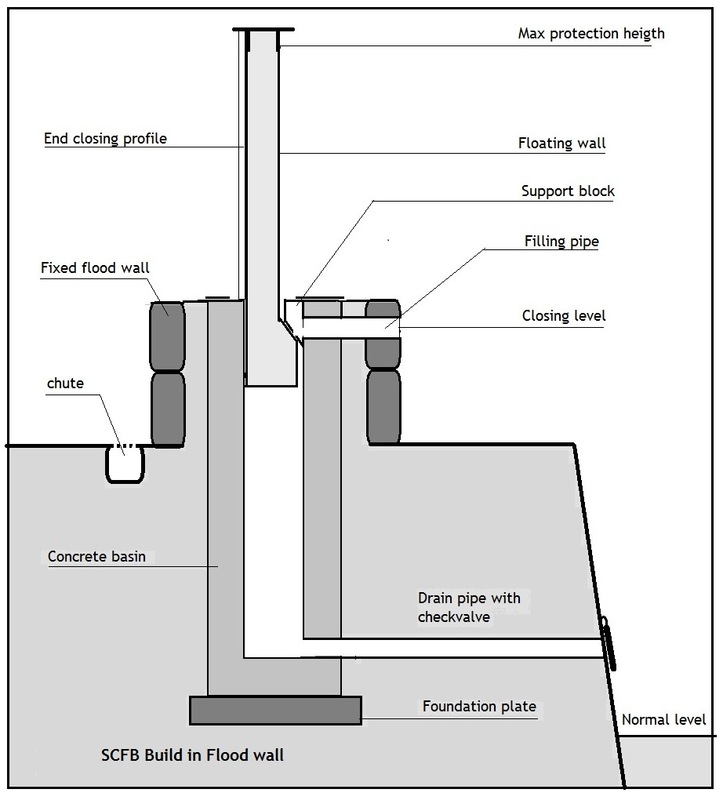 The SCFB is ideal when flood protection cannot be dependent on a person being available in times of need. 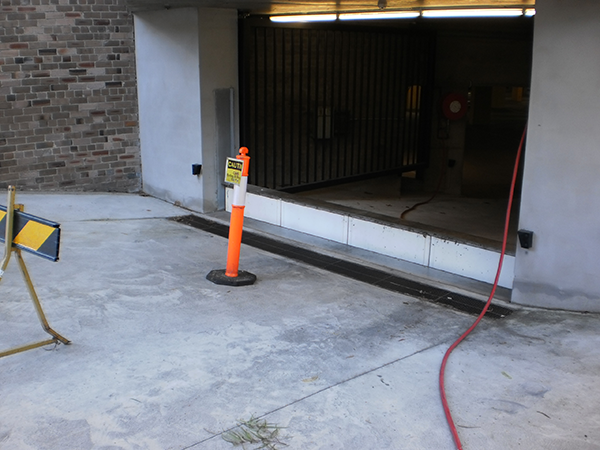 The barrier rises instantly with floodwaters and is self-closing when high waters recede. 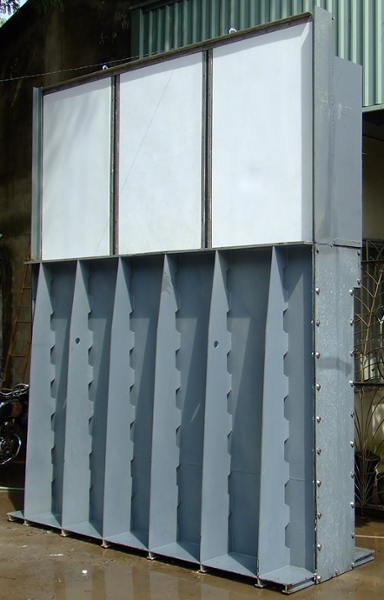 If preferred, it can also be easily raised manually before a storm. 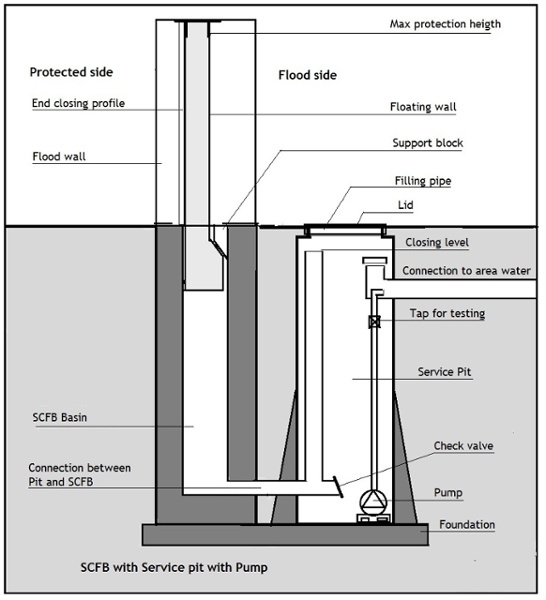 Since 1998, the SCFB has seen action around the globe in more than 2,000 floods with a 100% success record! 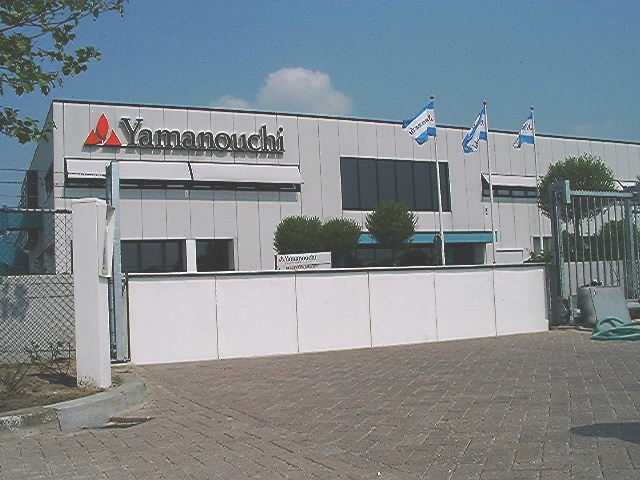 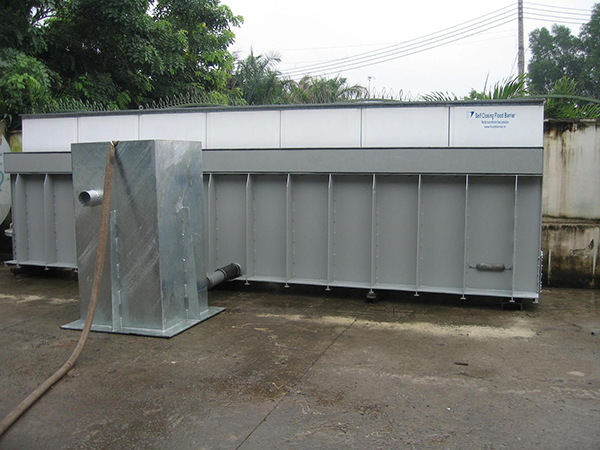 This system is ideal for perimeter protection again riverine or tidal flooding as well as for large openings in any critical or historically important facility. 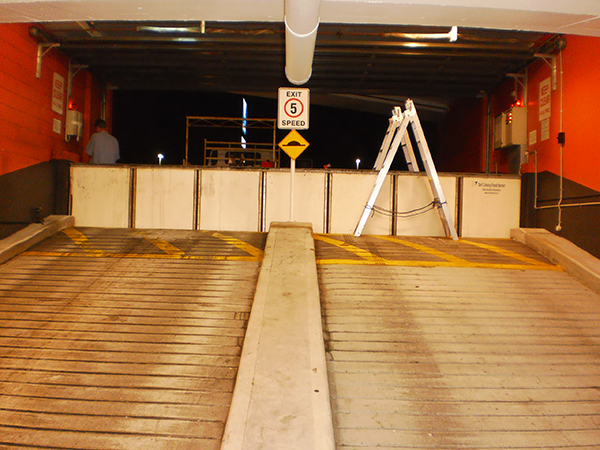 It is ideal for below-grade parking garages, public transportation applications, power plants, protection of roads, or in urban environments where there is no storage and a building’s aesthetics cannot be compromised. In storage position, all operational parts of the barrier are concealed in an underground storage basin. 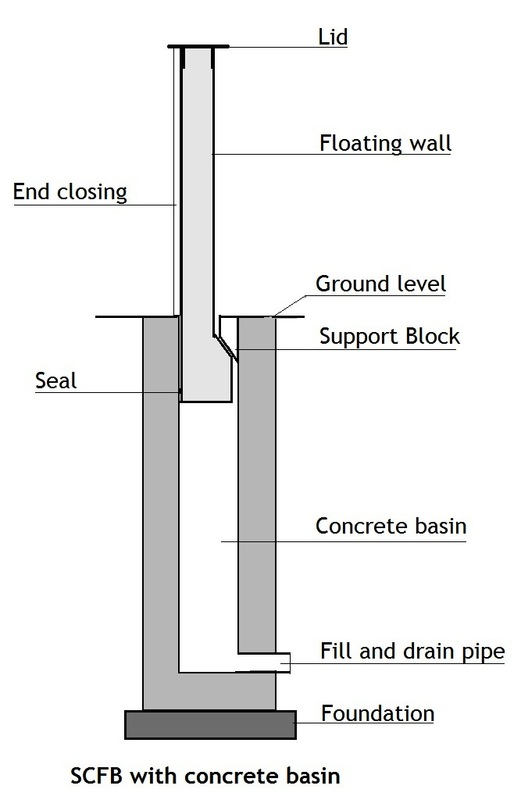 The basin in covered with a connected lid and is flush to adjacent ground. 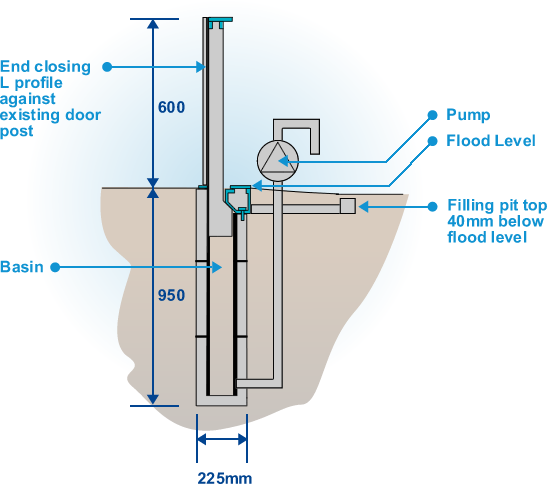 When floodwaters rise, an inlet pipe fills the basin and the flood barrier floats and rises. 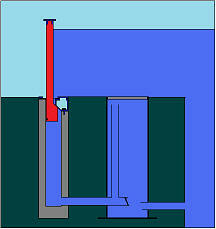 When the basin is totally filled, an angled support block locks the barrier into watertight position. 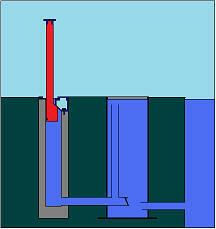 The floodwaters continue to rise without flooding the protected area. 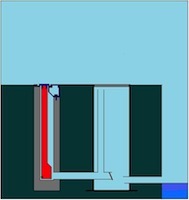 When the water subsides, the basin drains using check valves and the barrier returns to its storage position. Custom built to match protection requirements. 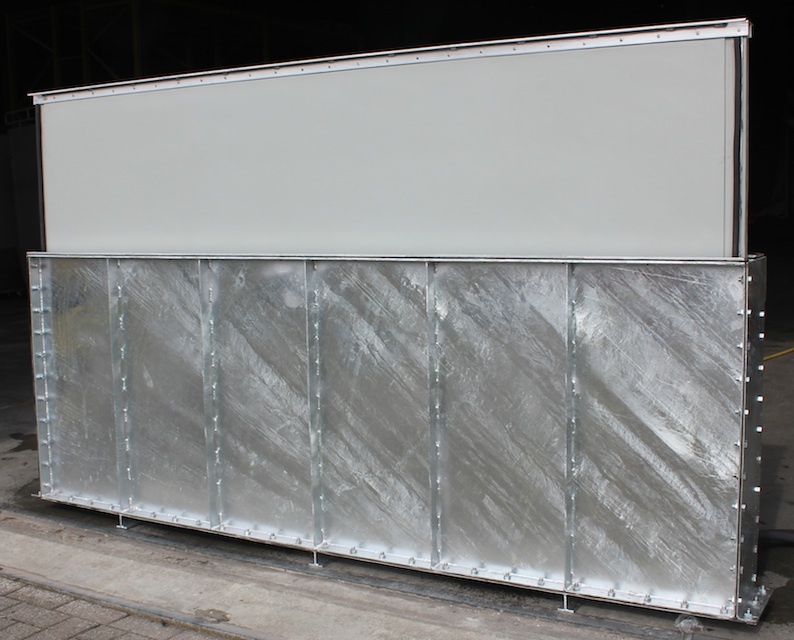 PUR foam core with a fiberglass outer layer fabricated in standard 1-meter lengths, connected to form the overall length of wall. 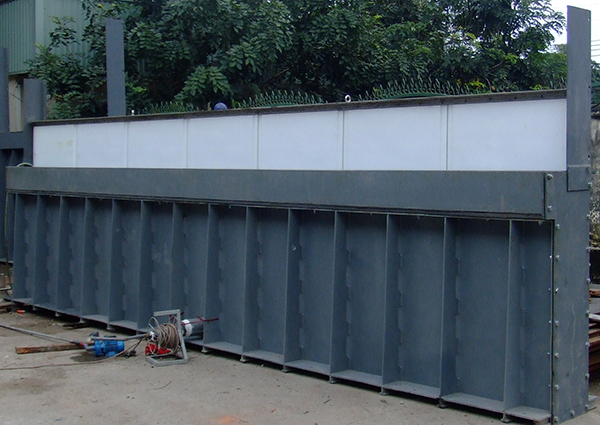 8 standard galvanized steel models from 1 to 8 meters in length. 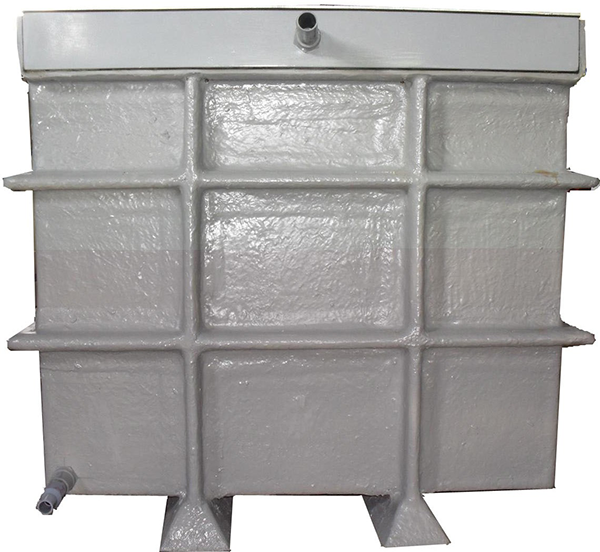 Includes a galvanized steel lid. Used when the SCFB basin is lower than the storm water outfall – also acts as a silt trap and houses submersible pump for lowering water level post flood. 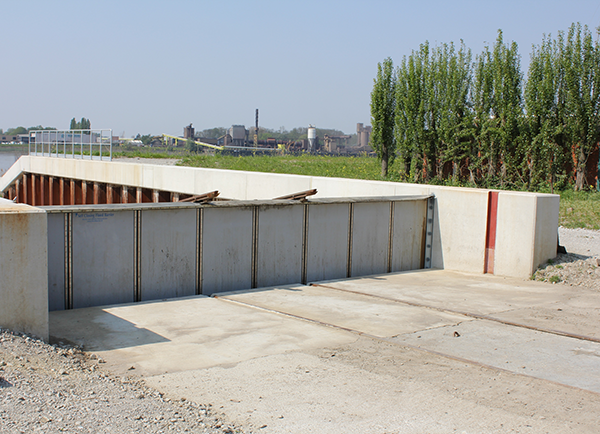 Prefab Concrete Basin: Recommended for larger sizes; available in 2 meter sections, reinforced with steel. 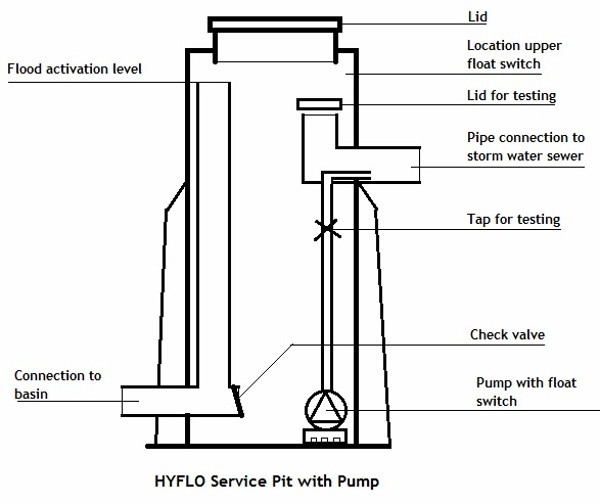 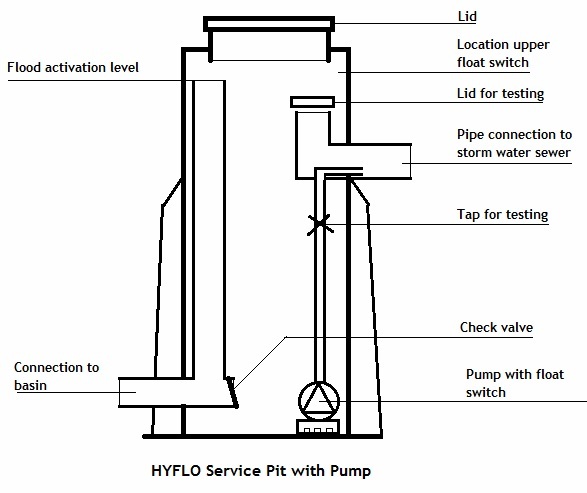 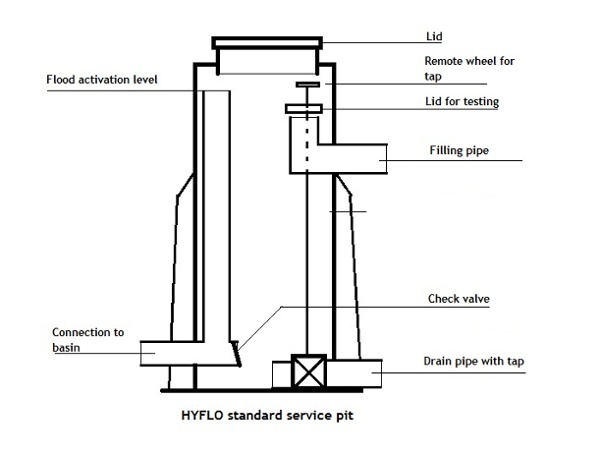 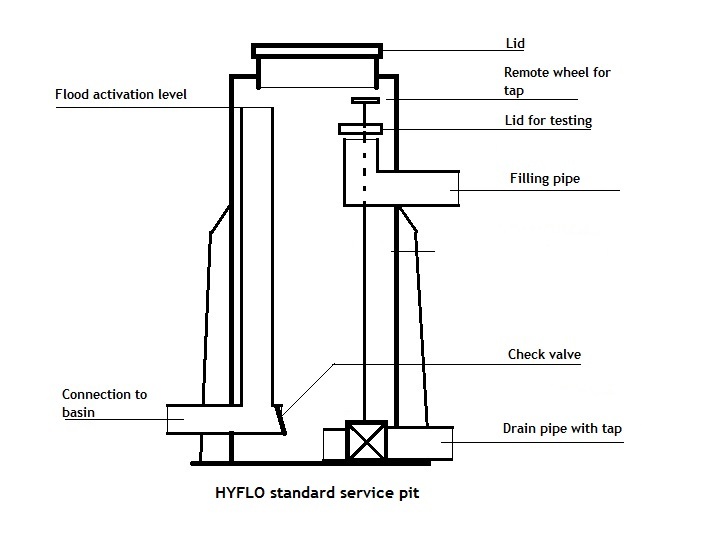 Every HYFLO SCFB is custom built from shop drawings to ensure that it meets the special needs of your facility. 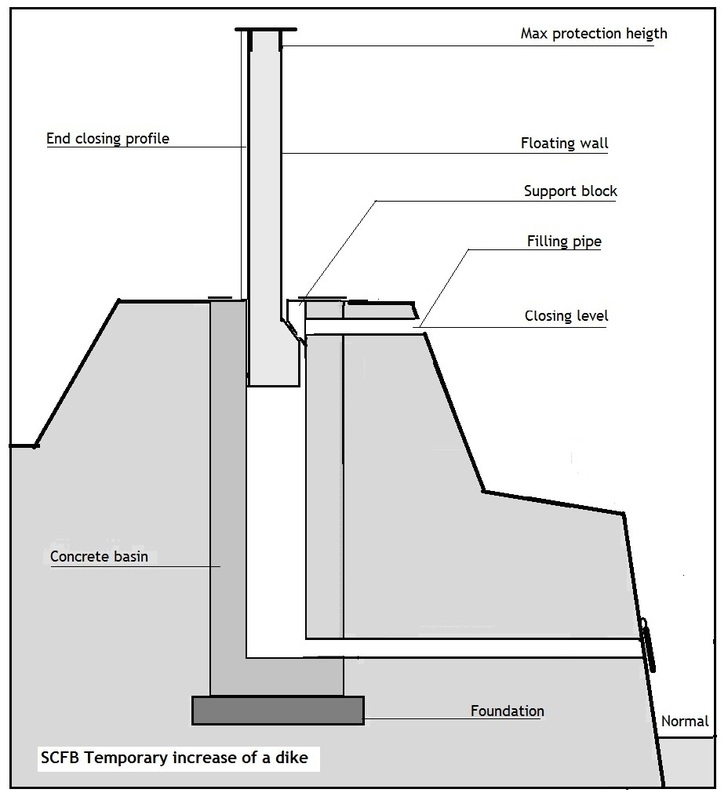 The SCFB can be built to any required length. 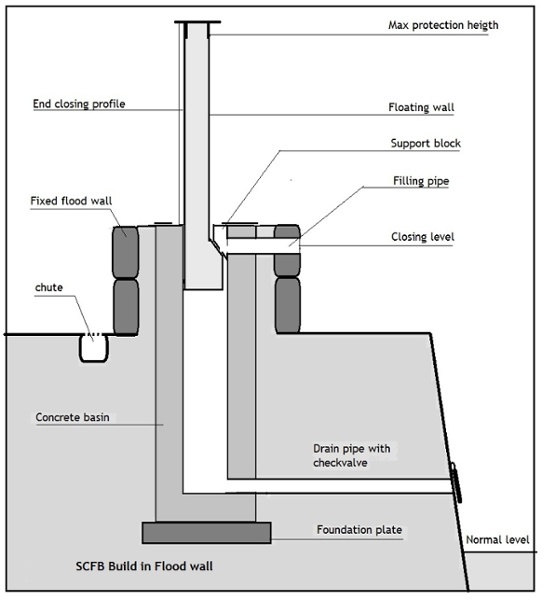 SCFB flood barriers are designed with a minimum of 2:1 factor of safety based on material yield strength, and will provide an effective seal against the flood level for which it is designed.